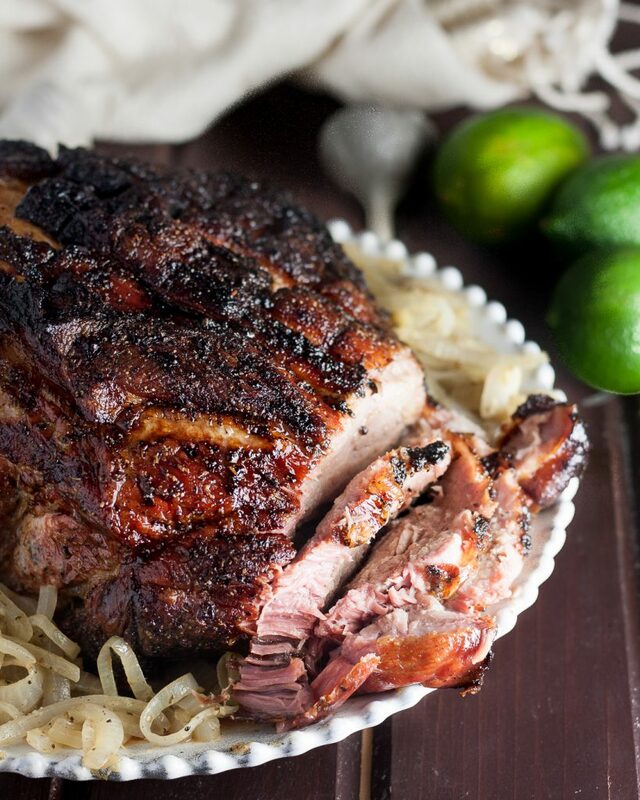 A traditional Christmas meal in Cuban households, this Cuban pork shoulder recipe is perfect for smaller gatherings! 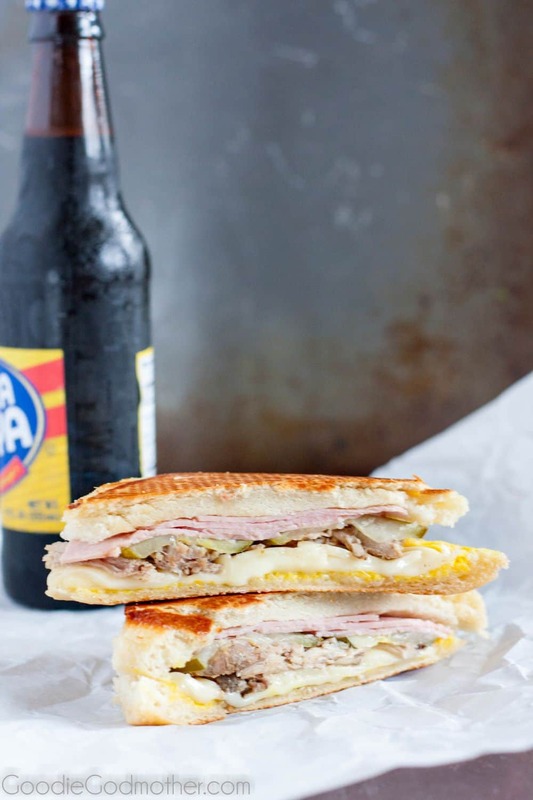 Cuban cuisine is not complete without talking about (and eating) pork. 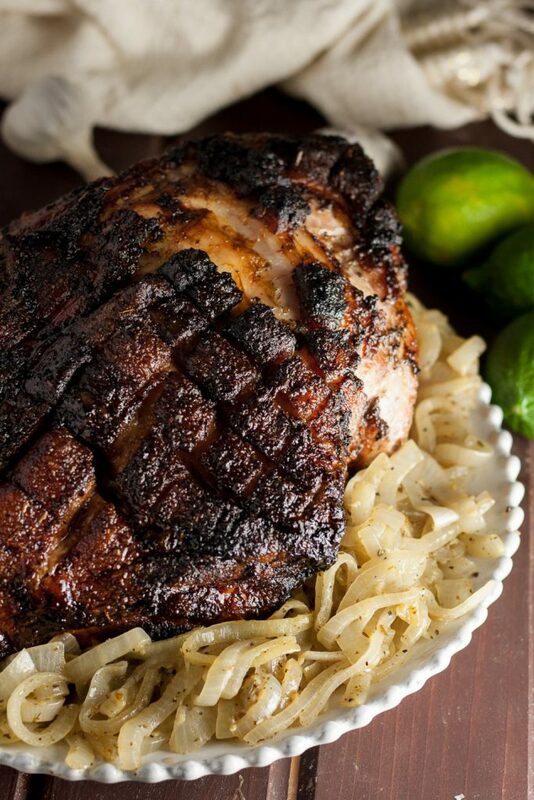 Pork was the centerpiece of many family meals growing up, whether it was a whole hog for Christmas Eve dinner (known as Noche Buena), or a pork shoulder for Easter and most holidays. Enjoying the meal together as a family is the culmination of moments I enjoyed as a kid that led to everyone gathering at the table. I’d start by traveling with my dad to get the pig. We’d head to the outskirts of town to a slaughterhouse about two to three days before the Noche Buena dinner, and my dad would pick out the pig. We would receive the slaughtered pig wrapped in plastic, laid out on a metal sheet pan, and take it home on the back of the pick-up truck. As a kid, this was one of the few times each year I would see my dad prepare a meal from start to finish, so this was something I would watch attentively. The second step is the preparation. Using the same metal sheet pan and various tools around the house, my dad would marinate the pig with the two ingredients that belong in just about every Cuban recipe: citrus and garlic. Oregano, ground cumin, and of course salt and black pepper are also used, but citrus and garlic are a must. The marinating would take place for about two days, and depending on the year, my dad would either make his own pit with cinder blocks, fence wiring, and wooden boards, or use a wooden grilling apparatus known as La Caja China (the Chinese Box). The cooking would take literally all day, as we often planned to enjoy the meal only an hour or two before the stroke of midnight when we would exchange gifts. When we didn’t have as many people over, my dad would make a pork shoulder in the same style, like the one I’m sharing today. He’d also roast pork for New Year’s Eve most years. Now that I am in charge of making the Christmas pork for my family, I use my grill and am still able to replicate the authentic flavors, crispy skin, and incredibly tender meat I remember from childhood. The night prior to serving, place the pork shoulder skin-side up in an aluminum roasting pan. Score the skin in a criss-cross pattern. In a mixing bowl, prepare the marinade by adding the minced garlic, naranja agria, sea salt, ground black pepper, ground cumin, dried oregano, and lime juice. Stir the mixture until it becomes consistent. Generously brush the pork shoulder with the marinade. If desired, store the excess marinade in the refrigerator for sauteing the onions later. Let the pork shoulder marinate in the refrigerator overnight. Prepare the grill by splitting the coals in half to the left and right side of the grill. Be sure to have the coals lowered as far away from the grill grates as possible. Set the grill temperature to 325 degrees Fahrenheit. If you use a gas grill, only light the rightmost and leftmost burners. Remove the marinated pork from the roasting pan, and place the pork shoulder on the center of the grill, skin-side up. Pour the remaining marinade from the roasting pan over the top of the pork shoulder. Continue grilling for at least 3 hours (or 20 minutes per pound), or until the meat temperature closest to the bone reaches 160 degrees Fahrenheit. 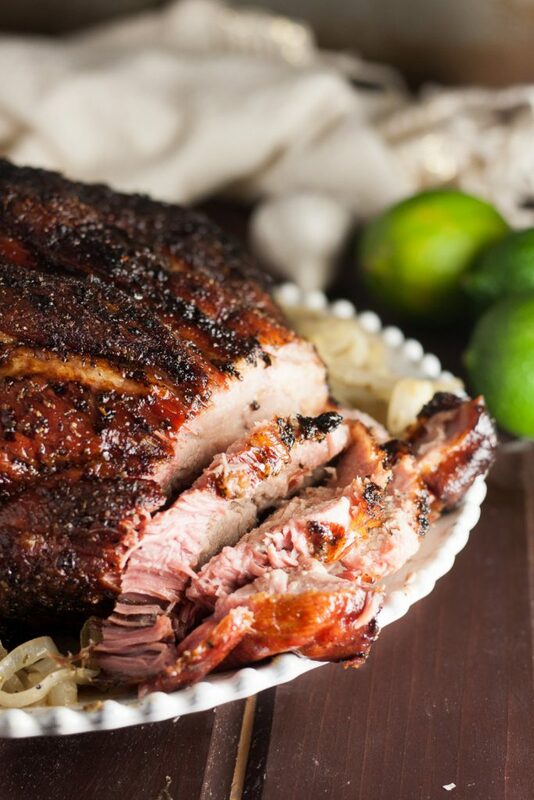 Remove the pork shoulder from the grill, and let rest for 30 minutes, or 3 minutes per pound. While the pork shoulder rests, saute the sliced onions on a skillet with the excess marinade from the night before. 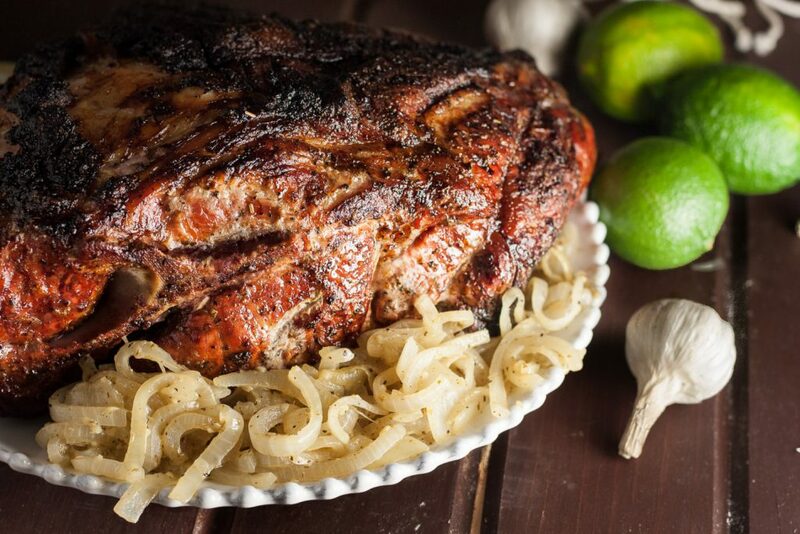 Serve the pork shoulder and onions, enjoy! Naranja agria (sour orange juice) can be found in bottles in the Hispanic section of most major grocery store chains. Bonus points if you can actual sour oranges to juice, as they are very seasonal and difficult to find. Isn’t 160 too low for temp? The meat cooks at 325 F per the Godfather’s instructions. You are looking for an internal temperature of 160 F for the meat – this will signify that it is ready to be removed from the heat. Looks lovely! Can this be made in the oven? Can it be made a day before- if yes, what would be the best way to reheat to serve? Thanks so much- Merry Christmas!!! 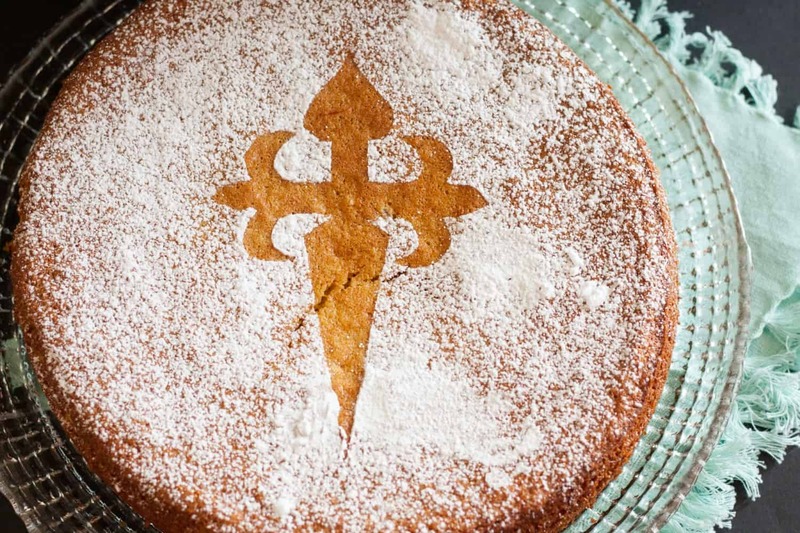 This recipe can be done in the oven through a process known as reverse-searing. 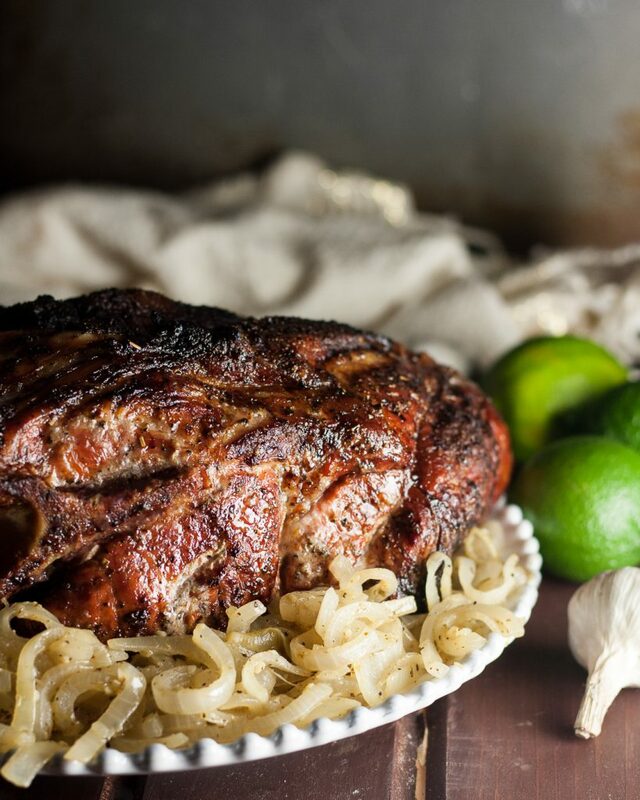 Marinate the pork shoulder in an aluminum roasting pan and cover it with aluminum foil. Assuming you let the pork marinate overnight, remove it from the refrigerator and let the pork rest for at least 30 minutes before placing it in the oven. Set your oven to 300 degrees Fahrenheit. 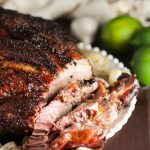 Your pork shoulder will need to cook for about 40 minutes per pound (six hours for a nine-pound shoulder!). Leave all the excess marinade in the roasting pan, and do not remove the aluminum foil cover yet or else the pork will dry out. Because not all ovens are created equal (some run hotter than others), check the meat temperature about 30-45 minutes prior to the estimated end cooking time. Once it reaches the right meat temperature (at least 165 degrees Fahrenheit), remove the pork from the oven and let it rest for 30 minutes. Afterwards, set your oven temperature to 475 degrees Fahrenheit, and remove the aluminum foil cover. Place the pork back in the oven, and cook for no more than 20 minutes. Remove and serve! I have not done this over two days, but I think the best way to approach this would be to complete the first (longest) part of the cooking day 1. The next day, remove the pork shoulder from the refrigerator 30 minutes before you need to reheat. Heat your oven to 475 and cook the uncovered pork shoulder closer to 25-30 minutes to heat the shoulder and crisp the skin. 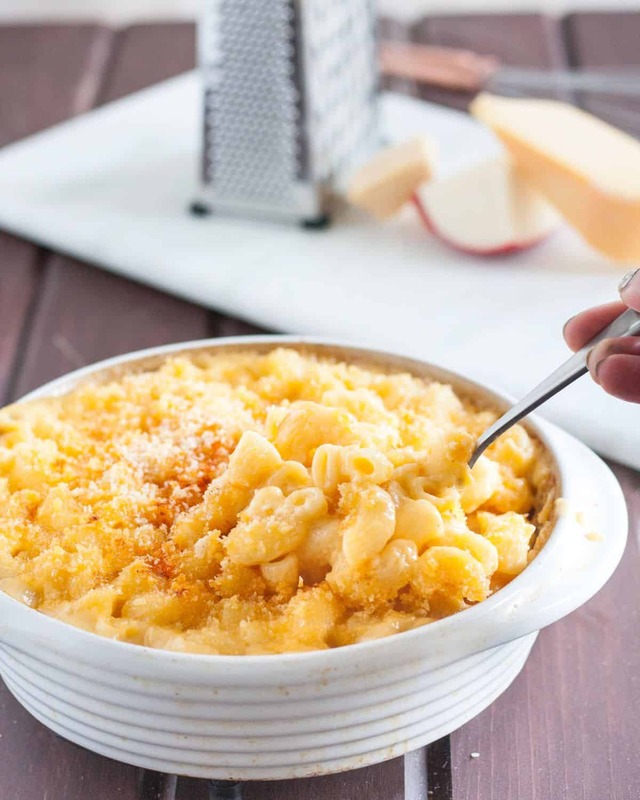 You can do this recipe on the slow cooker. While it will have the same amazing taste, texture will be different as the meat will fall apart, much like pulled pork. A nice thing about using the slow cooker is that it can also save you a step in preparing the sautéed onions…add them to the slow cooker too! Be sure to pick out a pork shoulder that will fit in the slow cooker and set it accordingly. For instance, my slow cooker will fit about a five pound shoulder, so I can set on high for four hours (better chance to replicate texture) or low for eight hours (and have more pulled pork texture). Enjoy!